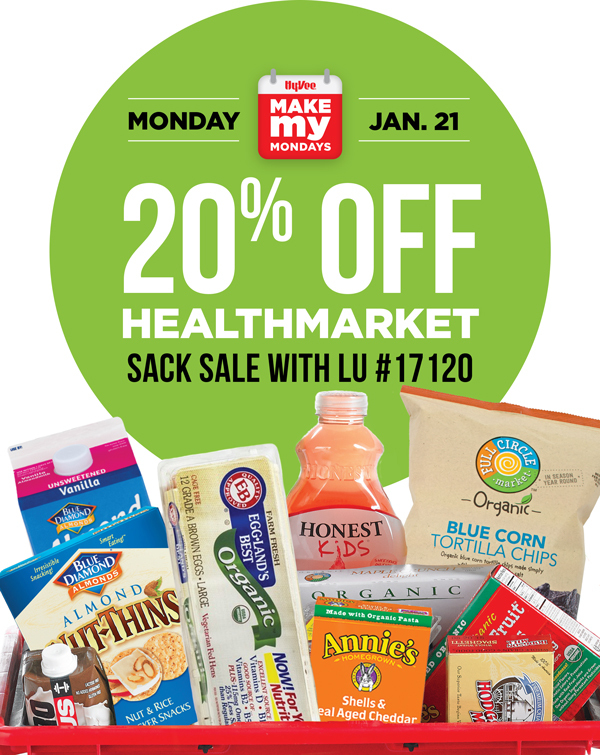 during our Make My Monday HealthMarket sack sale. Valid Monday, January 21 only. In-store only. Restrictions apply - see store for details.